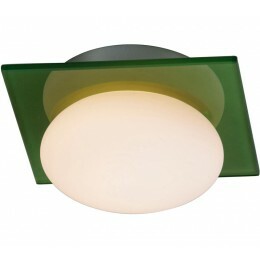 Circle meets the square in this utilitarian flush mounted ceiling lamp. 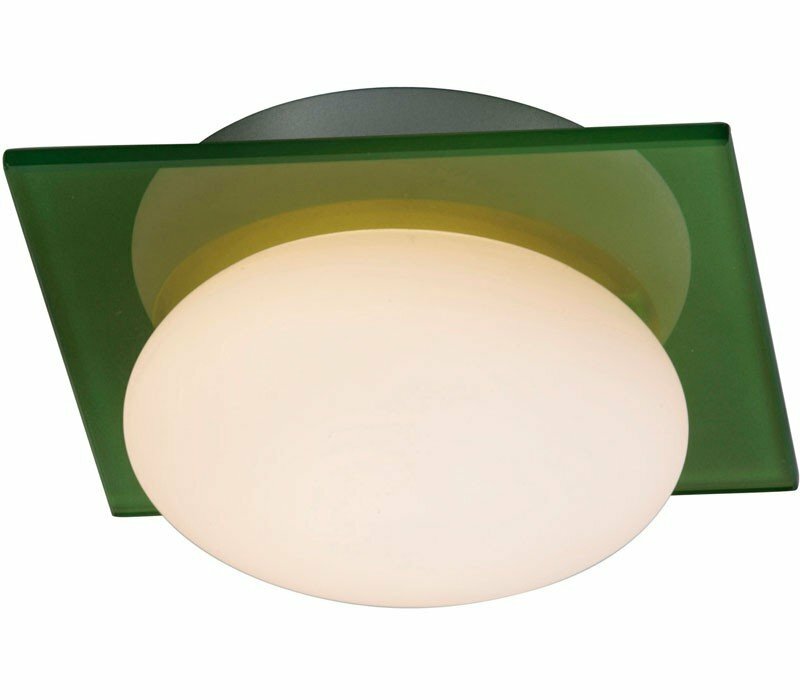 The designer's choice of bevel-cut, square colored glass in an array of primary red, yellow, blue or green sets Buttons apart from other ceiling fixtures. The perfect choice for a modern studio apartment or a contemporary balcony, the white ball glass shade provides even lighting with a dash of style.